Should You Use A Certified Matrimonial Attorney In New Jersey? Why Should You Use A Certified Matrimonial Attorney In New Jersey? 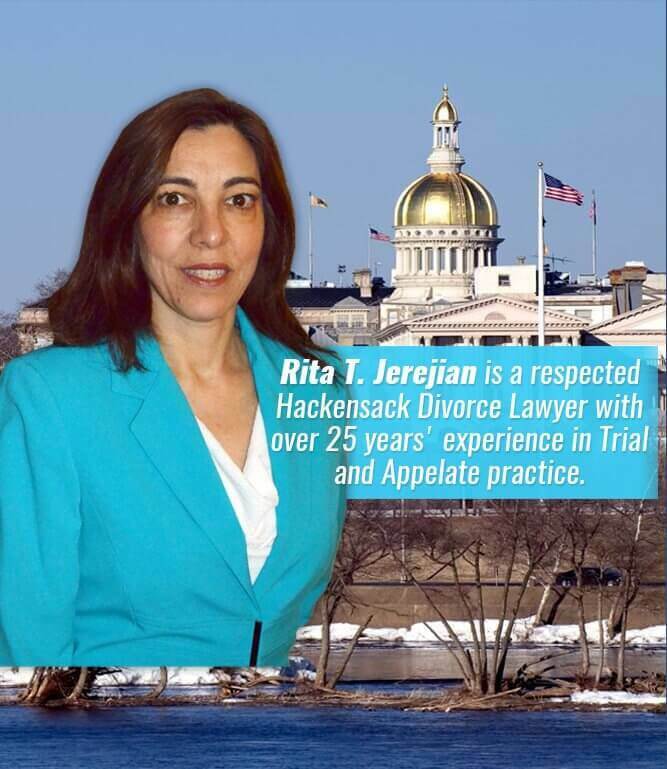 Jerejian Law is happy to announce that Rita Jerejian has received her Certification as a Matrimonial Law Attorney in the State of New Jersey. able to meet the standards set by the board and approved by the court. The certification program helps the public find attorneys who have demonstrated proficiency in specialized fields of law. Certification helps lawyers by giving them a way to make their experience known to the public and to other lawyers. Certification also encourages the maintenance and improvement of attorney competence in specialized fields of law. 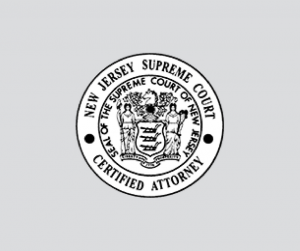 In What Areas Of Law Does The New Jersey Supreme Court Certify Attorneys? 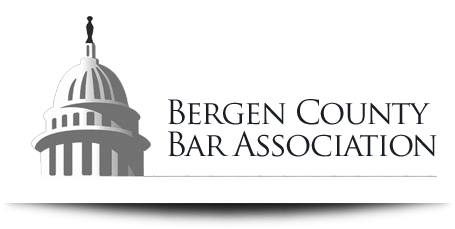 There are five specialty areas of practice that are approved for certification by the Supreme Court of New Jersey: civil trial law, criminal trial law, matrimonial law, workers’ compensation law, and municipal court law. What If I Have More Questions Or Need To Find Out More About Certification? If you are contemplating hiring a matrimonial attorney, you may have questions about whether or not it makes sense to seek out a certified matrimonial attorney in New Jersey. Understanding what makes a certified matrimonial attorney different and how you can best work with him or her will prepare you for your family law and divorce case. The selection of your lawyer is so important because this person will be deeply involved in your divorce and all related issues possibly for months. You want to verify that you are working with someone you can trust who has the right experience to guide you through this process and answer all your questions in a timely fashion. The New Jersey Supreme Court offers an official designation known as a New Jersey Certified Matrimonial Law Attorney for those lawyers who have exhibited a clear skill set in the areas of matrimonial and family law. This is one way for you to ensure that you are working directly with a New Jersey matrimonial attorney who has extensive experience in the field and is committed to obtaining the highest possible standards in client care. Matrimonial attorneys in New Jersey, as classified by the New Jersey Supreme Court, have extensive knowledge in many different practice issues, including post judgement relief, divorce, child support, child custody, alimony, mediation, adoption, alternative dispute resolution, domestic violence, prenuptial agreements, post-nuptial agreements, domestic partnerships, and more. The certification process to become an official matrimonial lawyer in the state of New Jersey is complicated, meaning that many New Jersey matrimonial lawyers do not obtain or remain with these credentials every single year. Choosing an experienced matrimonial lawyer in New Jersey can be difficult if you do not have a clear referral from someone you already know. What Does It Mean to Say That an Attorney is Certified? A certified attorney goes one step beyond a lawyer who claims that he or she practices in a specific area of the law, like family law. 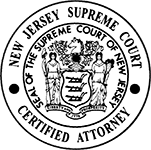 New Jersey certified matrimonial lawyers, who receive the official designation from the Supreme Court, have to show a clear emphasis on matrimonial and family laws, including complicated subjects like highly contested child custody disputes, divorce involving members of the military, and high net worth divorces. These attorneys must show a great deal of previous experience in matrimonial law, receive favorable evaluations from other lawyers and judges in the realm of matrimonial law, fulfill ongoing legal education requirements on a regular basis, and pass a lengthy test in matrimonial law. The certification program assists members of the public and New Jersey to identify certified matrimonial attorneys in the state of New Jersey represent only 2% of all lawyers across the state, which means that finding a prominent member of this legal community is extremely important when you are looking for someone who has extensive experience and a commitment to helping in complex family law disputes. You deserve the support provided by a dedicated matrimonial attorney in New Jersey and you should schedule a consultation directly with an attorney sooner rather than later. A lawyer who has dedicated a solid portion of his or her practice or career to working in the field of matrimonial law will have extensive experience and the ability to guide you through complicated issues with ease. Put your own mind at ease by working with an experienced NJ certified matrimonial attorney. A divorce is a highly personal matter, and it’s one you deserve to have help with as soon as you decide to file. Knowing that you’re in good hands makes this difficult process easier.